Learn the secrets to transforming an ordinary piece of wood into a striking work of art with the easy to follow instructions in this book. Inside you'll find an overview of chainsaw and safety information, photo references of live bears, and a step by step demonstration for the three projects. 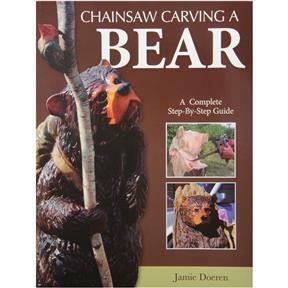 Covers pattern design, layout, and basic chainsaw cuts. Three projects included are a cub in a stump, caricature bear with welcome sign, and growling grizzly.